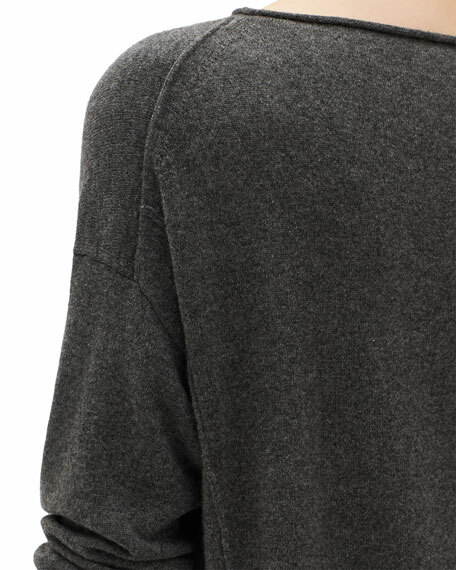 Lafayette 148 New York cardigan in a cotton and cashmere blend. Single-button front closure. Long sleeves; ribbed cuffs. Relaxed silhouette. Below-hip length. Straight hem. Cotton/cashmere. Imported. 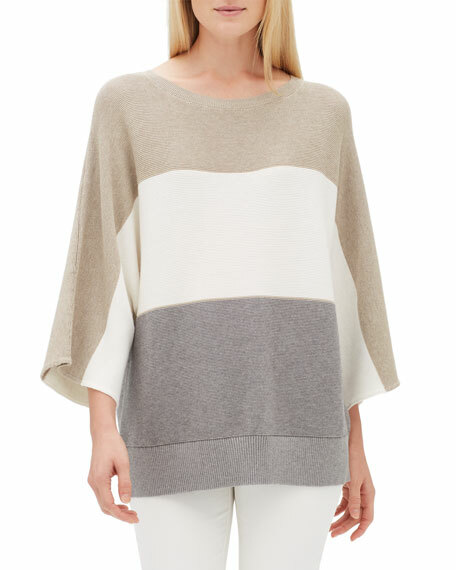 Lafayette 148 New York dolman sweater in a colorblock cotton-blend. Bateau neckline; ribbed band. 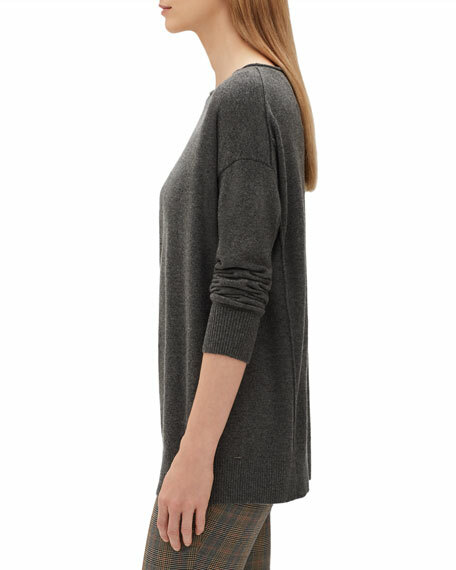 Three-quarter dolman sleeves. Relaxed, oversized silhouette. Straight banded hem. Pullover style. Cotton/cashmere. Imported of Italian material.